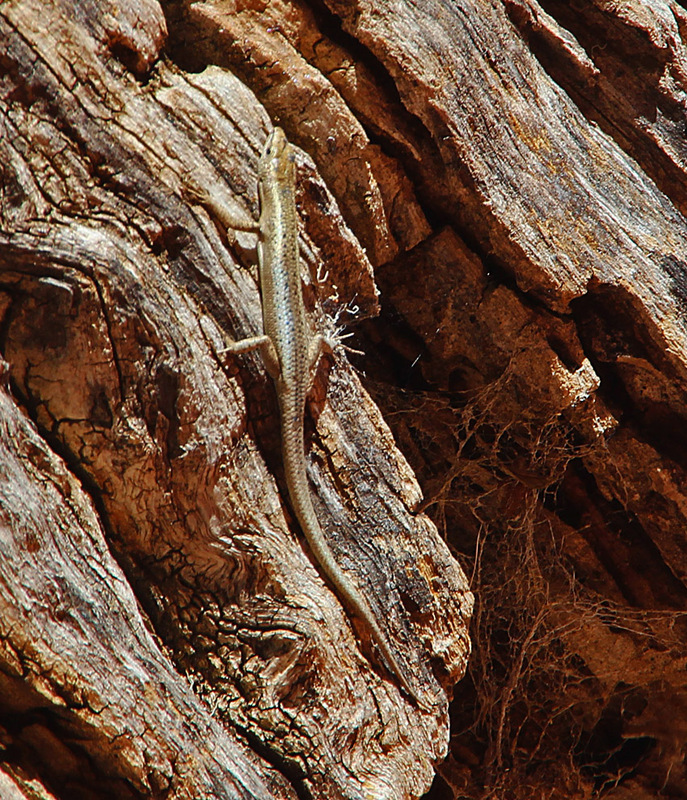 Dear Reader: From where I am sitting I can see the little skink scurrying around the old tree trunk searching in the tiny crevices and under the bark for insects. But the diminutive reptile does not have a stress free existence. 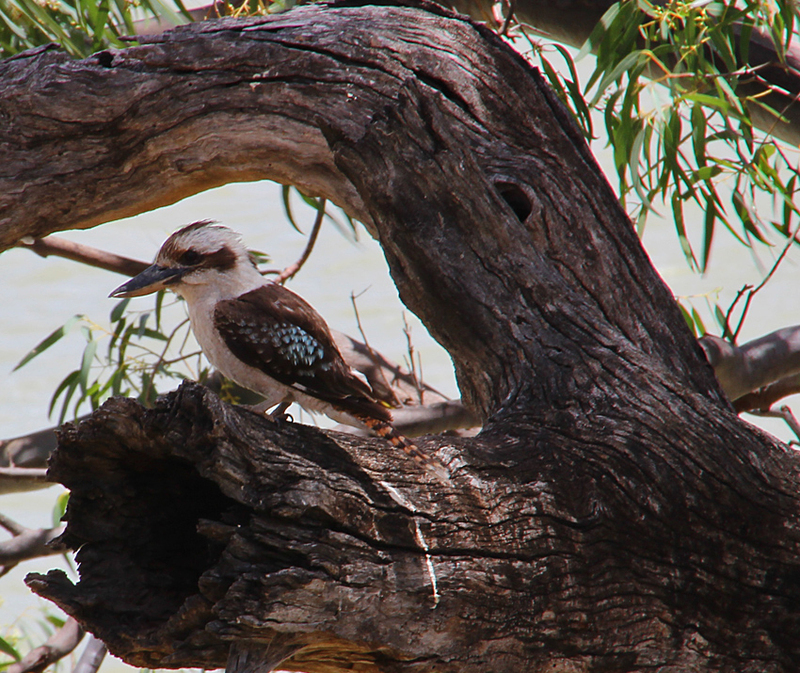 Just metres away, a blue winged kookaburra sits patiently on the branch of a massive river gum watching for prey. And this snack sized critter needs to be more than just a little vigilant. 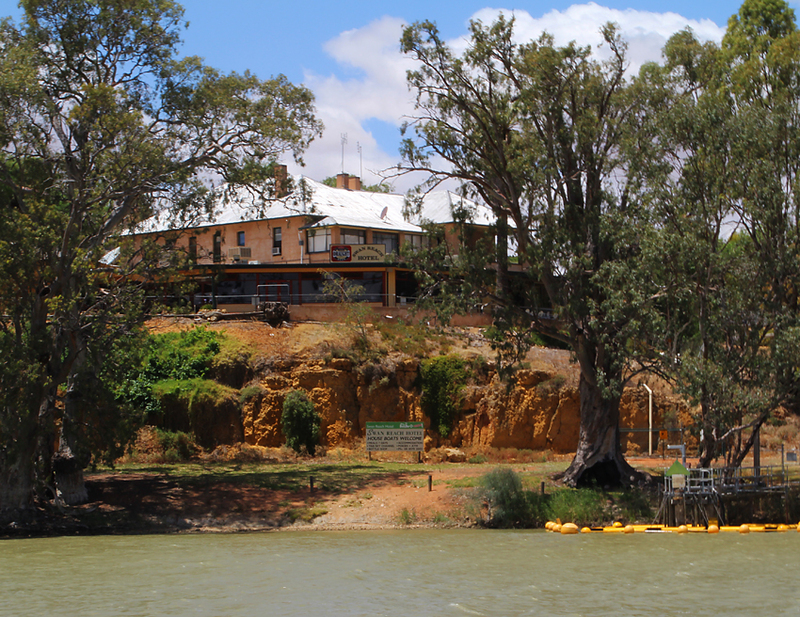 However, it is not the outback that is the setting for this natural drama, but a cliff-top pub on the Murray River. We have just driven up through the Adelaide hills, past Springton and then across the mallee country to Cadell before crossing the river on a ferry. 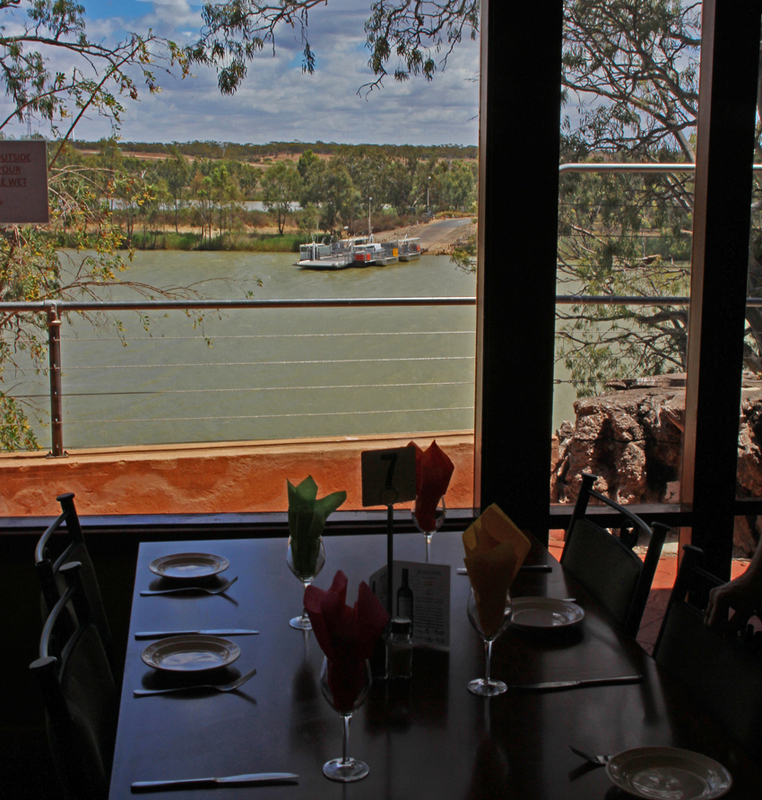 Now, over a couple of excellent pub meals; my calamari schnitzel and TC’s lamb roast, we are enjoying a spectacular view across the river from the dining room of the Swan Reach Hotel. Leaving my travel companion to muse over the dessert menu I scramble down a winding pathway to the river bank and walk along a riverside trail under the steep ochre cliffs. 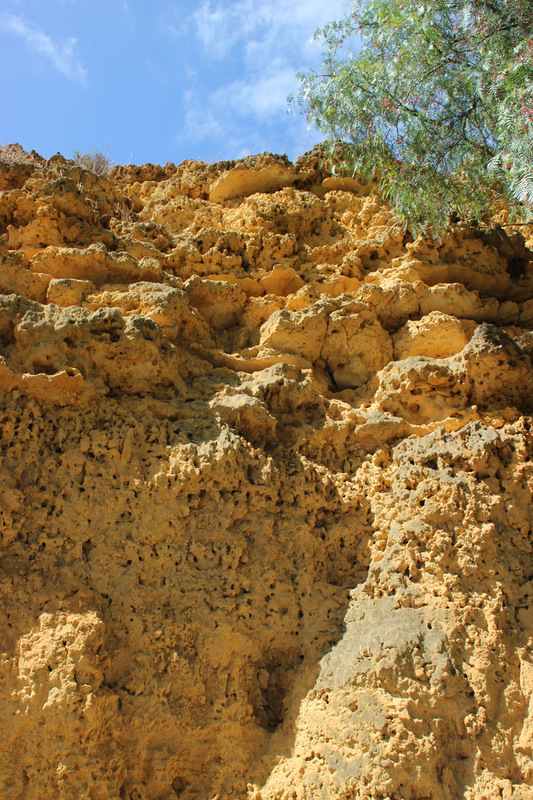 The crumbling sedimentary formations are the remnants of an ancient seabed that covered the area millennia ago. Close inspection reveals the fossil remains of many marine creatures including shellfish and sea urchins. 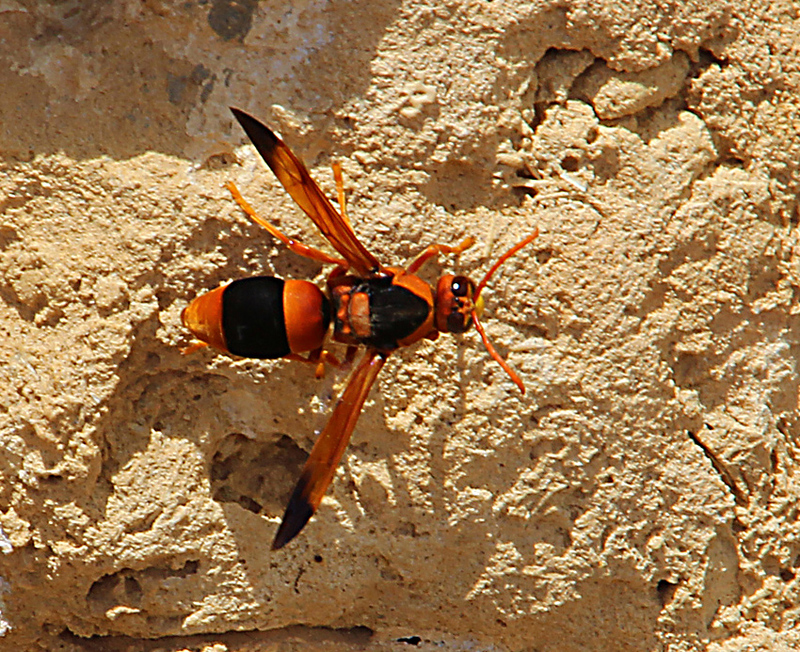 There are also more recent intrusions into the rocks such as bird and insect nests as well as numerous holes and crevices that are home to ants, spiders and various other invertebrates. As if to illustrate this point, a mud daubing wasp lands on the rocks just as I am photographing some fossil remnants and proceeds to scrape away at a nest site. Who says you can’t train bugs to cooperate? 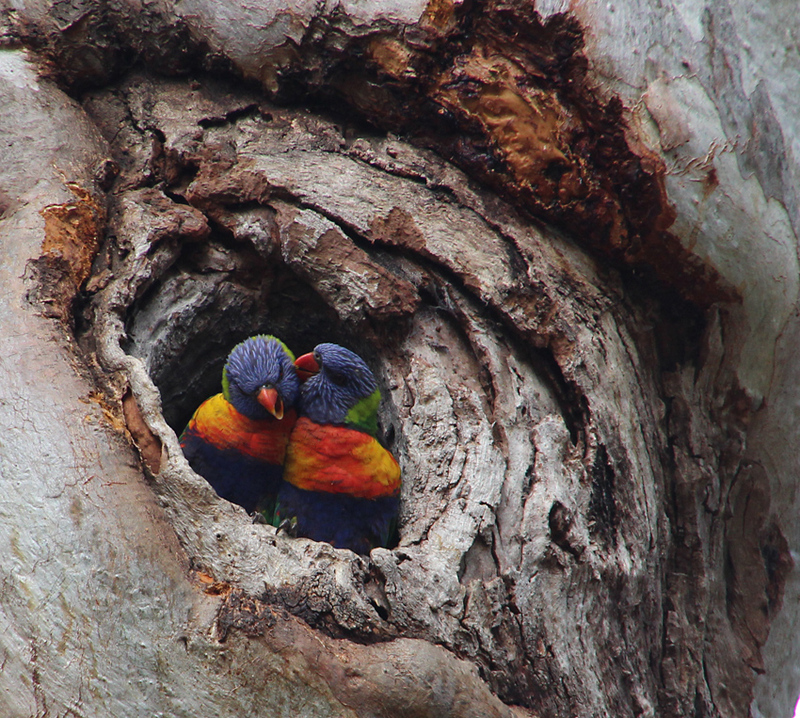 The trail is overshadowed by huge river gums and as I look up into the branches another world of wildlife reveals itself. Several rosellas, peck, preen and call on the extremity of a hollow tree branch that reaches over the water and a brown hawk lands in the uppermost branches to survey the river. 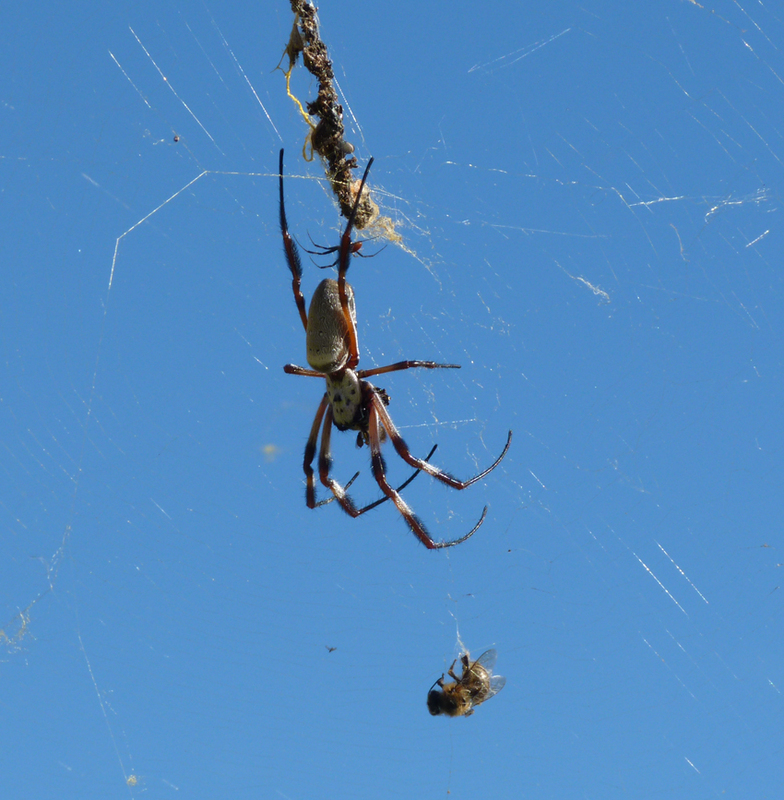 A little closer, suspended from a lower branch, a large orb weaver spider checks its web for lunch. The large female is watched intently by her tiny suitor who tries to get close enough to mate with a bride who will, given half a chance, kill and devour him.